Want to watch Duke basketball online? Follow the legendary Duke Blue Devils throughout the season, and watch Duke basketball live stream without cable! Coach K and the Blue Devils are back for the 2018–2019 college basketball season, and it’s going to be worth watching. Marques Bolden leads the way for a new roster that’s made up mostly of incoming freshman. Keep an eye on point guard Tre Jones, forward Zion Williamson, and off-guard R.J Barrett this year. Each is looking to make a name for himself this year, so you know it’s going to be a good year to watch Duke basketball live. If you want to livestream every Duke game online, you’ll want the ACC Network Extra, CBS, ESPN, and FOX. To give you an idea of how important each channel is, keep in mind most of the games will air on ESPN, a handful will be on ACC Network Extra, a select few major matchups will stream on CBS, and one game will air on FOX. As you can tell from the table above, Sling TV checks off all the boxes for livestreaming Duke basketball. We would recommend starting things off with a trial, watch Duke basketball online for free, and see what you think. On top of providing the elusive ACC Network Extra, Sling TV also costs the least—although there is a catch. Sling TV breaks down its channels in two packages: Sling Orange for $25 a month, Sling Blue for $25 a month, and Sling Orange + Blue for $40 a month. Luckily the cheapest package, Sling Orange, gives you ACC Network Extra and ESPN for your Duke-watching purposes. Considering about 80% of Duke games are on either of these two channels, you’ll be able to watch most Duke basketball games online for just $25 a month. Here’s the catch—Sling Orange doesn’t carry CBS or FOX, so it won’t give you full coverage. To remedy that, we recommend pairing Sling Orange with an antenna. We’ve already outlined everything you need to know about antennas (spoiler alert: we really like the Mohu Leaf HD antenna). An antenna will run you $50, but with it you can enjoy CBS and FOX without recurring payments. This will especially come in handy come March Madness season. We’ve tested Sling TV for several hours, and we can confirm the streaming quality looks great overall. Occasionally the stream would dip in clarity for a few seconds, but it would quickly catch up with itself. Assuming you have average internet speed and there aren’t other users streaming something else simultaneously, you should enjoy a high-quality stream. Something to know about Sling TV—its cloud DVR costs an extra $5 a month. But even with the extra cost, Sling TV is still cheaper than the competition, so it may be an add-on worth considering to watch Duke basketball free of commercials.  If you’re looking for the best overall streaming quality to watch your games, then take a look at PlayStation Vue. You can even stream Duke basketball free with a PlayStation Vue trial. PlayStation Vue’s least expensive package with ESPN, CBS, and FOX is the Access package for $44.99 a month. That may sound a bit expensive, but keep in mind PlayStation Vue has by far the most CBS affiliate stations (109 markets in case you’re interested). In other words, you probably won’t have to worry about buying an antenna or finding a bar to watch games on CBS or FOX. Along with those essentials channels for watching Duke basketball online, PlayStation Vue gives you more than 50 other channels to enjoy with the Access package. Assuming you’re a college basketball fan, truTV comes with the package as well, which will come in handy when March Madness rolls around. If you want even more college sports, you can upgrade to the Core package, which costs $49.99 per month and includes the Big Ten Network, CBS Sports, FOX Sports, and NBC Sports Network. A huge reason why we ranked PlayStation Vue so high on our list is because of the smoothness of the stream. We tested PlayStation Vue for several hours, and we encountered maybe one instance of fuzzy streaming. On the whole, PlayStation Vue experienced by far the least amount of streaming difficulties compared to the competition. Good news—PlayStation Vue comes with cloud DVR built in. More good news—you have unlimited storage hours. Okay, now a bit of bad news—your recordings get deleted after 28 days. So unfortunately you can’t keep great Duke games for posterity on your cloud DVR (isn’t that what YouTube is for anyways? ), but you can record as much as you want. No doubt cloud DVR will become very handy when there are a million games going on at once. If you’re looking for tons of channels along with plenty of Duke basketball coverage, take a look at DIRECTV NOW. You can watch Duke basketball for free with a DIRECTV NOW trial. You have some options when it comes to choosing your DIRECTV NOW plan. For those of you who want the cheapest option available, the Live a Little package for $40 a month includes ESPN, ESPN2, CBS, and over 60 other channels, which means you’ll get the majority of the games. Unfortunately, if you choose the cheapest package, you’ll miss the matchup against Saint Francis on ESPNU. The package that does carry ESPNU, Just Right, costs $55 a month. So we’d suggest foregoing that one matchup and just find a sports bar that’s playing the game. For the record, no DIRECTV NOW package carries ACC Network Extra, so you’re out of luck there. Here’s a little tip for the savvy streamers out there—currently, DIRECTV NOW allows up to two simultaneous streams at once, which means you can easily share a subscription with someone else. Considering there are so many channels streaming with DIRECTV NOW, you should have no problem finding someone to split with. For all games airing on ESPN and CBS, you’ll have a great experiencing watching Duke basketball—as long as you don’t switch inputs. We noticed that when you switch inputs while streaming DIRECTV NOW, the connection pauses and fast forwards to catch up when you switch back to the stream. It’s only a small annoyance, and if you’re not a serial input switcher like some of us, then it won’t be an issue. As long as you keep the stream going, DIRECTV NOW’s picture quality looks great. Hopefully you enjoy watching Duke basketball live because DIRECTV NOW does not come with cloud DVR—currently. We know DIRECTV NOW is beta-testing cloud DVR, so undoubtedly it will be coming soon, but in the interim, you’ll be stuck watching the games live. Then again, you may prefer watching live anyway. Hulu is entering the streaming competition by combining live TV with its library of on-demand streaming options. You can check out its service and stream Duke basketball online for free with a 7-day trial. Hulu Live TV simplifies watching Duke basketball by offering only one package. It may not be the best package for streaming Duke basketball online, but it’s got its perks. Hulu Live TV’s package includes CBS, the full ESPN suite, and over 50 other channels for $39.99 a month. The coolest part about a Hulu Live TV subscription is that it includes access to Hulu’s entire streaming library (which is a $5.99 value). In other words, you can stream Duke basketball live, and then switch over to binge-watching Brooklyn Nine-Nine, for example. Despite the perks, we can’t strongly recommend Hulu Live TV because there are just cheaper ways to watch Duke basketball online. The downside of Hulu Live TV’s simple package is the lack of additional sports channels. You’ll be stuck living without the ACC Network Extra channel, for example. Thankfully, the base package includes the channels you need to watch most Duke basketball games. We’ve tested Hulu Live TV and can confirm the streaming quality looks fantastic. Even after watching for several hours, the stream stayed consistent and smooth. If we had one complaint, it would be that the interface could use some work. Navigating channels wasn’t as easy as some other streaming services. That being said, Hulu Live TV is a pretty new service, so we anticipate it’ll continue to improve. Hulu Live TV comes with 50 hours of cloud DVR built in to your subscription. You better believe that will come in handy come March Madness when there are a million games to keep track of. Plus, it will let you record almost every Duke basketball game and watch at your convenience. We know you’re a dedicated Duke basketball fan, but sometimes a little flexibility is nice. Duke makes regular-season appearances from time to time on CBS, an over-the-air station you can get for free using an OTA antenna. To get coach Mike Krzyzewski’s team on CBS this way, we recommend using a high-quality antenna that will pick up OTA channels with a wide range. If you want to watch Blue Devils basketball online at your own convenience, you can also use a DVR to record the games to watch on your own schedule. With an antenna and DVR combo, you can actually watch Duke basketball for free! Just to reiterate, if you’re all about watching Duke basketball, we strongly recommend going with Sling TV and combining it with an antenna. Remember, you get a free Roku stick when you sign up for Sling TV right now, so definitely think about that in your decision-making process. The ACC Network Extra channel is just too important for Duke basketball fans, and Sling TV is the only service that has it. That being said, Sling TV might not be the best choice for you. PlayStation Vue’s streaming quality, DIRECTV NOW’s channel variety, or Hulu Live TV’s on-demand streaming options may be exactly what you need. Whatever you choose, let’s hope Duke makes some noise this year. Want to watch all your favorite college basketball teams online, without paying for cable? Check out our college basketball streaming guide to learn more. Interested in ACC teams? Our detailed guide will show you the best ways to watch ACC basketball online. How are you going to livestream Duke basketball this season? Secondly, do you think the Blue Devils have what it takes to bring home a title this year? Let us know in the comments below!